I pulled up some carpet at the apartment I grew up in Queens, NY because I knew there was perfectly good wood floor under it. After putting the room back together I noticed a dark stain that kind of looked like a body. Almost like a body was left there for a long time and stained the floor so I snapped this pic. Sorry for the quality; it was taken 2008ish on a Blackberry Bold. 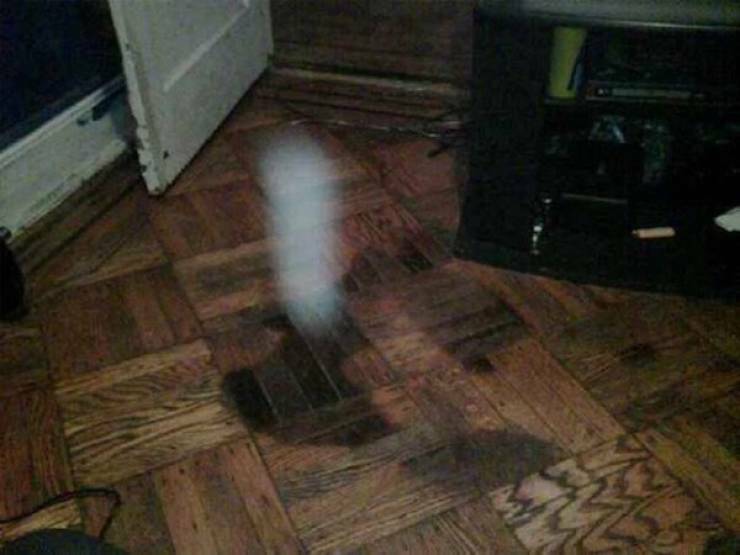 The white object is what is strange or ‘unexplained’ about the pic, not the stain.